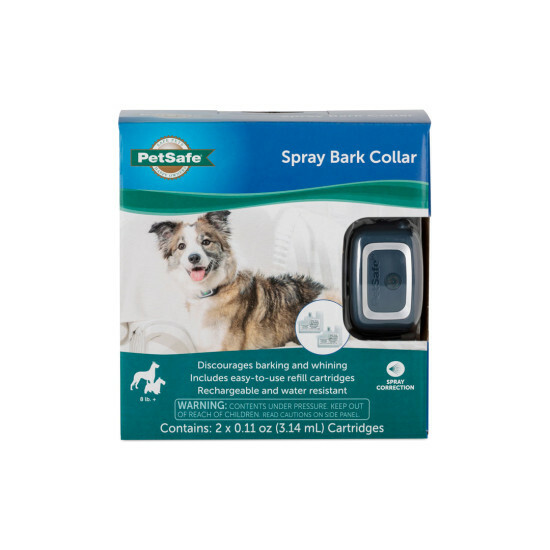 The PetSafe® Spray Bark Collar is designed to help stop nuisance barking and whining with a burst of spray. This collar is perfect for a peaceful night at home or for a walk outside. The sound and vibration of your dog’s bark triggers a sensor on the collar, emitting a burst of spray to help stop the unwanted behavior. The collar includes both a citronella and an unscented spray refill cartridge, so you can determine which one works better for your dog. 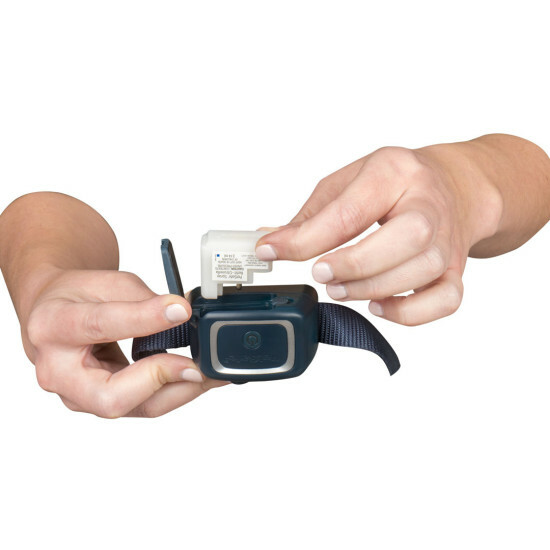 The recyclable refill cartridges are convenient to replace with no mess, and the collar is rechargeable – no batteries required. Designed to fit dogs 8 lb. and up with necks up to 27 in. in circumference. 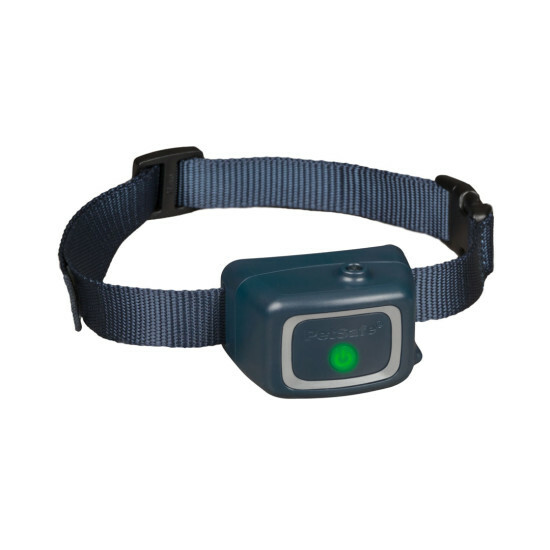 The PetSafe® Spray Bark Collar will help you enjoy more peaceful times with your dog! Light Spray – Spray Bark Collars use a light citronella or unscented spray to kindly remind your dog when it’s time to be quiet. Easy to Refill – New recyclable spray refill cartridges are easy-to-use and simple to replace. 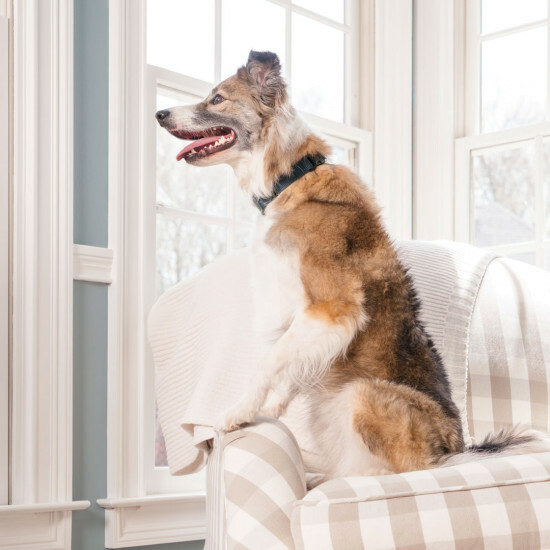 No Accidental Sprays – Advanced bark detection technology ensures your dog will never receive an accidental spray, even when other dogs bark. 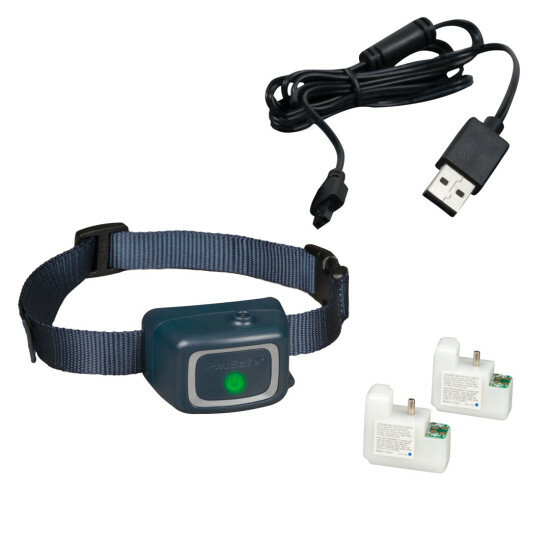 Fits Most Dogs – The Spray Bark Collar is designed to fit any dog 8 lbs. and up. Rechargeable – Every Spray Bark Collar comes with a USB charger for recharging as well as an average battery life of 40 hours depending on use. Water Resistant – Spray Bark Collars are water resistant, so you can take them practically anywhere.